Great upgrades from that cranky old bearded guy! 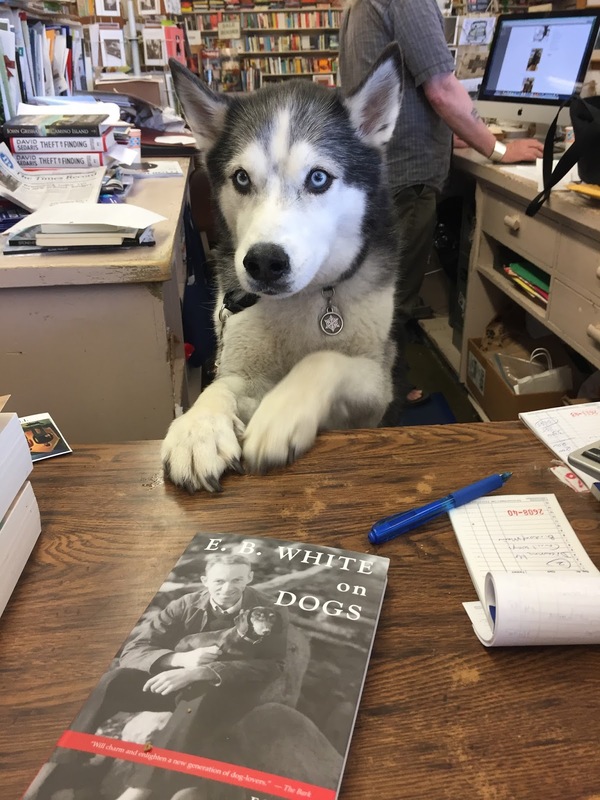 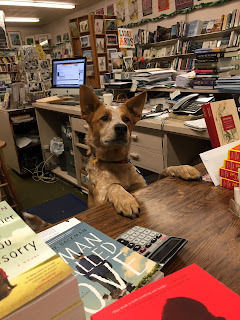 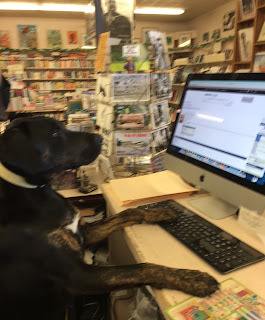 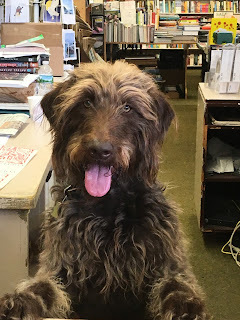 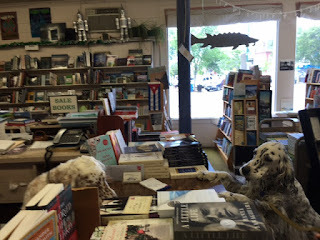 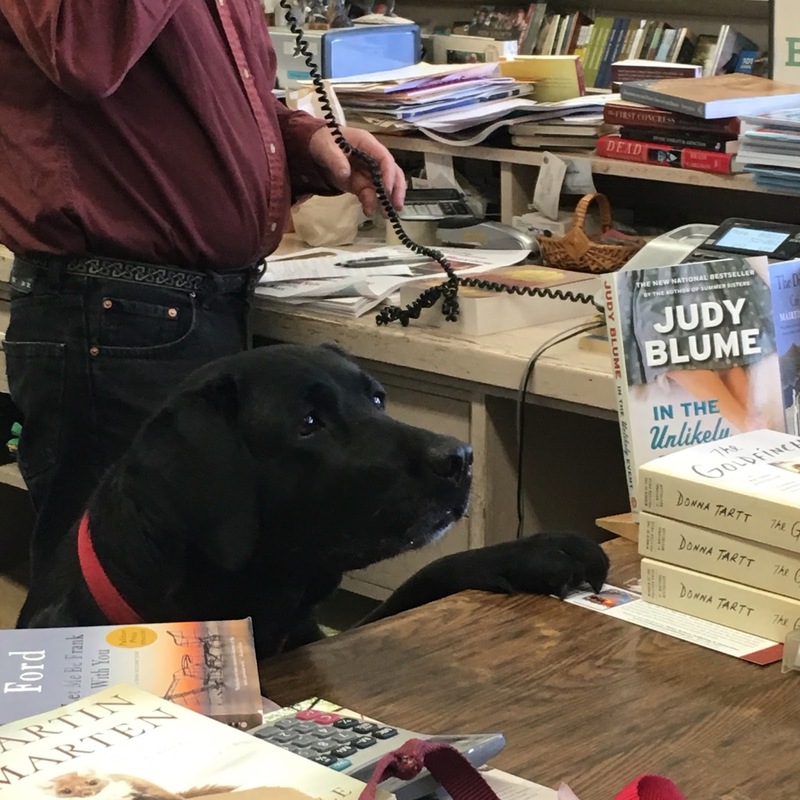 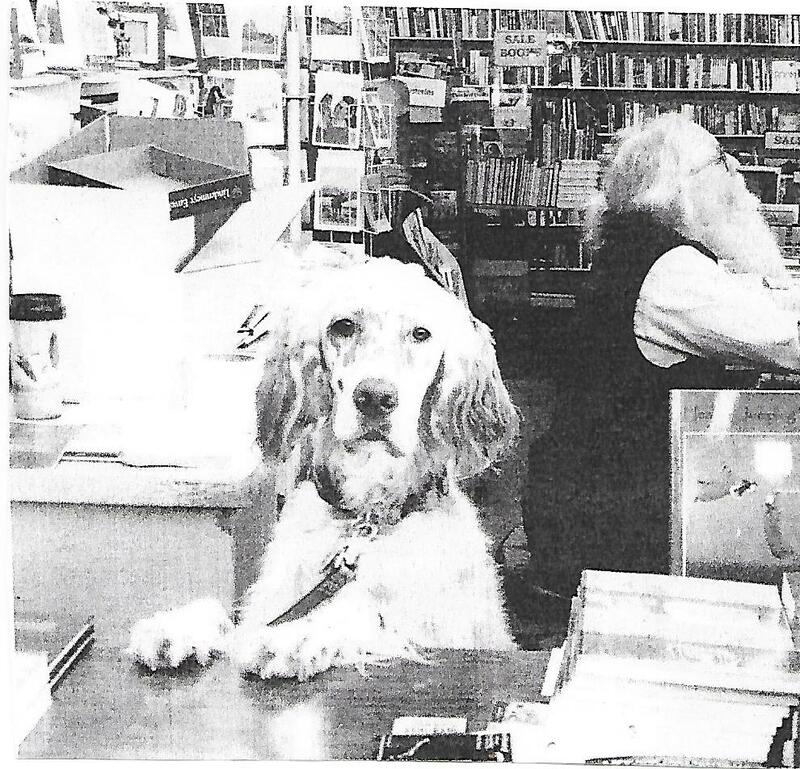 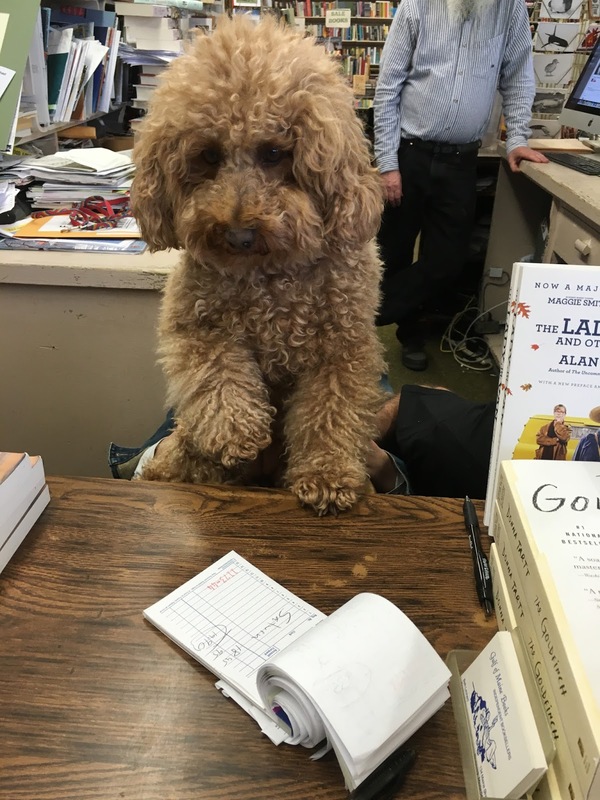 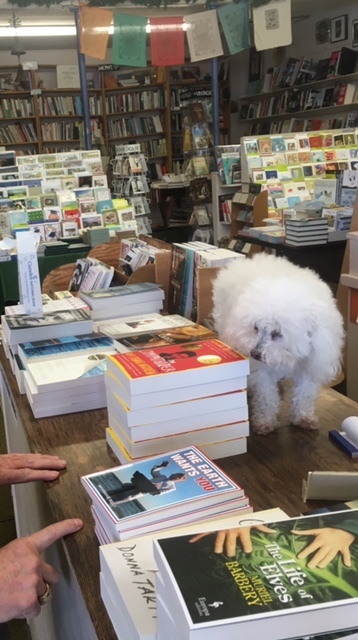 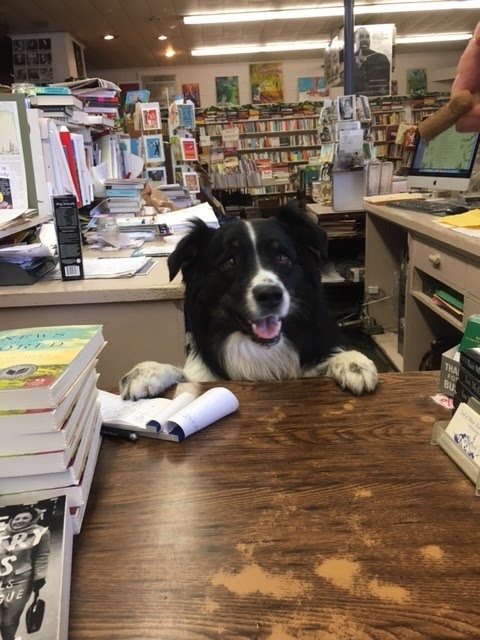 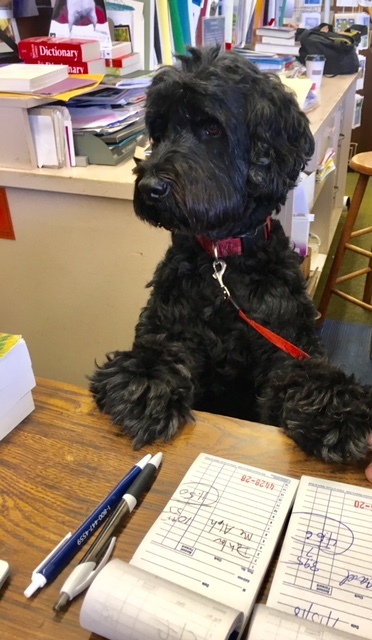 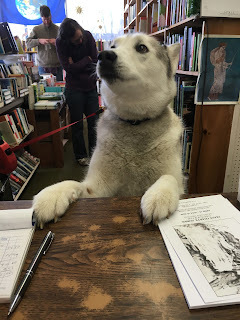 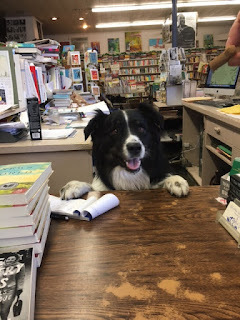 Raffi is happy to be a Gulf of Maine bookstore dog! 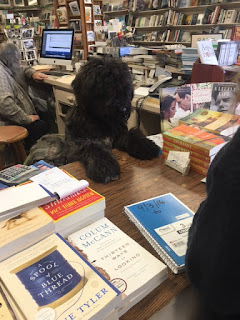 He really wants to meet Bella and Beckett who must surely be cousins! 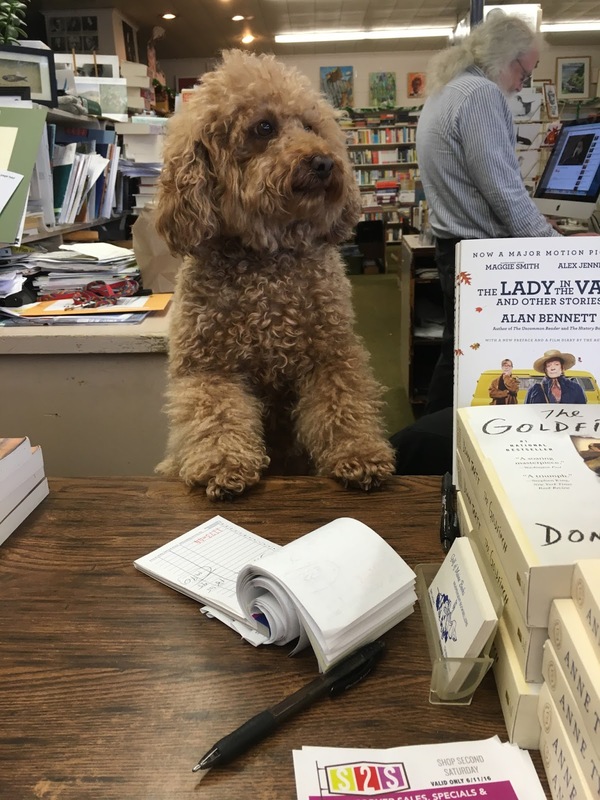 Dahlov was one of our Georgetown neighbors so of course she's one of the first authors he pushes!